Leo Davis is an orchid enthusiast with an eye for detail. 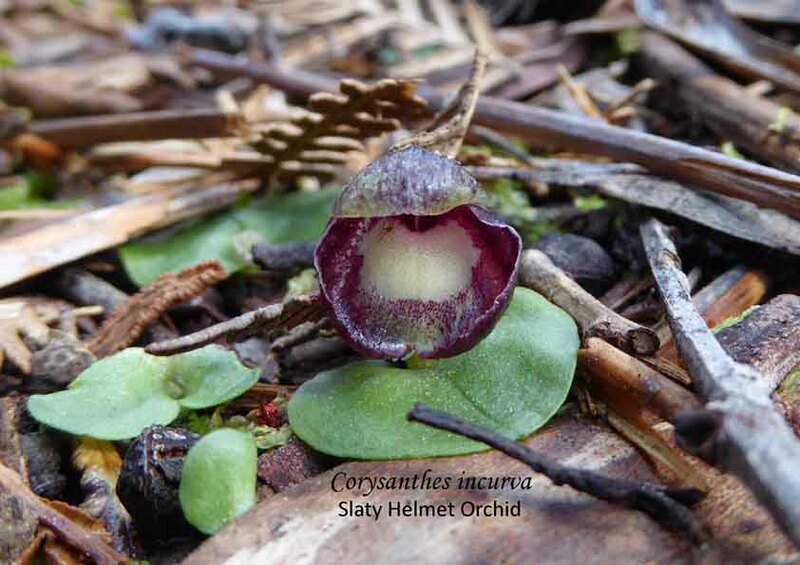 Everyone seems to be aware of and gets excited over the flower of the large flying duck orchid but in the article below, Leo takes a look at a more significant event – the rare fruiting of the duck in South Australia. When approaching an iconic orchid like a flying duck orchid the obvious imperative is to emphasise the flying duck image. But as much fun as that can be, we can find and record some other significant aspects of this species. Do remember to look at all orchid flowers, with or without your camera, from different directions. And don’t forget the leaves. In the last flowering season at Knott Hill NFR (Oct-Dec 2015) I photographed a double flowered large flying duck (Caleana major) on November 14. At the bottom of the upper left hand side flower you can see a white stigma (♀ part), sitting at the base of the bowl shaped column. The sticky surface of the stigma is ready to trap a pollinium (a sack of pollen grains), if the correct pollinator arrives, with a pollinium attached. Immediately below is a three lobed the triangular yellow pollinium packet (♂ part), as yet not taken by a pollinator. The highly sensitive mobile duck shaped labellum, a modified petal, looms above, waiting to slam a visiting insect down onto the pollinium, so attaching it to the back of the insect. On December 10 I found the same plant, and one adjacent, in FRUIT. This is not often observed in South Australia and it has been suggested that the specific pollinator may be thin on the ground. I photographed both plants but that of the more advanced plant (shown), with fully withered flowers and plump developing ovaries, interested me more, because it suggested progress towards production of viable seed. I went back on March 9, this year, and was delighted to find and photograph the fruit that had ripened, dried and split, so releasing the dust like seed. I was prepared for disappointment because the fate of seed pods of many orchid species is to be eaten. For example for the hyacinth orchid (Dipodiun roseum), across both the 2014-15 and 2015-16 flowering seasons, at Knott Hill, all plants that I found had their seed pods consumed. Kangaroos? Robert Brown established the genus Caleana based upon his description of a specimen of Caleana major (1810). The type specimen was collected in 1803, at Bennilong Point, the site of the Opera House, so the species is extinct at that site now, of course. 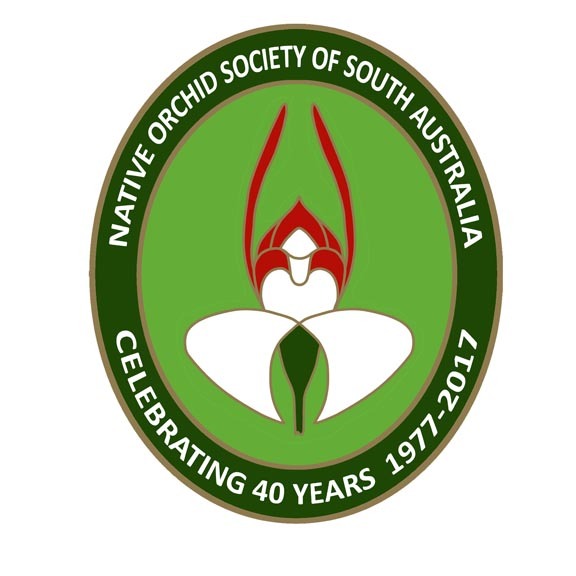 This entry was posted in Orchid Snippets and tagged Australian orchids, Caleana major, Flying Duck Orchid, Native Orchids, Orchid Pollination, Parts of an Orchid, photography, South Australian Orchids, Terrestrial orchids, Wild Orchid. Bookmark the permalink.